Writing an essay is not an easy task. You are not only required to spend a lot of time doing research and write an excellent essay but also be responsible for what you are writing. You need to pay attention to every detail of your paper and make sure you don’t plagiarize. Small mistakes can cost you your grade. 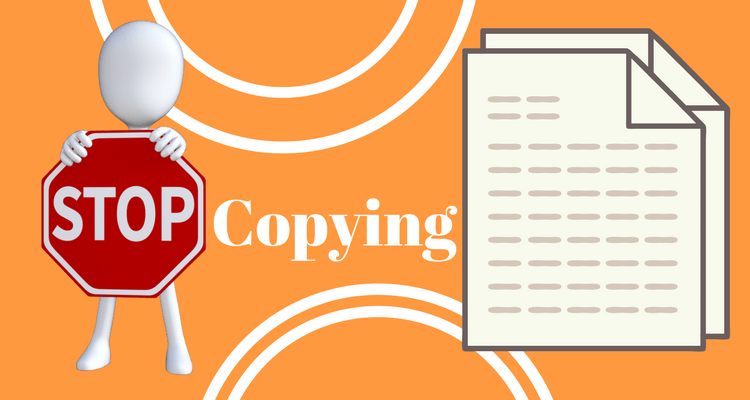 Plagiarism is a big offence in academic writing, and most students are aware of this. However, many students are often still confused as to what plagiarism is really about when it comes to writing their academic papers. Little mistakes that they neglect to notice can cost them their entire college education. In simple words, plagiarism means copying other people’s work and make it their own. However, the term of plagiarism in an academic setting has a much broader meaning than just copying and pasting other people’s work without credits. You are responsible for presenting the sources accurately. You are submitting someone else’s work whether in whole or in part as your own. If you are submitting a paper from group work, make sure your paper is not the same as others. You can only use the same data. You are allowing a friend, other students or other people to do some work for you. This includes purchasing a work from a website. Although you are given a right to use the essay that you have purchased, it is still considered as plagiarism. Don’t ever think you can get away with it and risk your college education by trying this practice. If you get caught, there is no turning back. You are submitting your previous work that has been graded whether in whole or in part. It does not matter whether you are the original author or not. You are not allowed to use your previous work except if you are given permission by the professor to do so. You are submitting a work that has misleading data or wrong references. Don’t fake the references. Don’t make it less or more. You reference what you used in your papers. These rules are the first thing you will be introduced to when you get into college although you may already know them from high school. Also, you will learn more about the rules in college than in high school. The first informal step may be taken. The academic honesty committee may discuss the accusation with you. No action will be required if they find no academic honesty offense has occurred, but if they do, you will be taken to the formal process where you will face the consequences. First offense is typically being given a grade of zero on the work where the offense occurred. The second offense will be given F in the course where the offense occurred and will be noted on your transcript. Any further violation may result in suspension or withdrawal from the college for a given period of time. Each college and university have their own policy. We hope this post is useful for you.